Guitar speaker cabinets are a hugely important but often overlooked part of any player’s signal chain. Though they usually look like plain and nondescript boxes, they are actually incredibly varied in terms of their sound, construction, the number of speakers, and a host of other factors. It’s vital for all electric players to demo and learn about as many different types of cabinets as possible because they all produce different aspects of what is pumped through them. Speaker cabinets come in all shapes, sizes, and price ranges like any other piece of gear. Of course, some are quite expensive and many players indulge their rock and roll fantasies, if they can afford to, and pop for high end and high priced cabinets from Bogner, Mesa, Rivera, and other pro-level companies hoping to get the best tones that money can buy. Most of us are usually working within a budget when we’re amp and cabinet shopping and can’t always spend the kind of cash it takes to bring home one of those status symbol cabinets. Some of us are married. We have to balance our need for on-stage glory with our need to remain living indoors with our spouse. This article is dedicated to these domestic bliss-minded guitarists and is all about great cabinets that can be had for $500.00 or less. There are plenty of proper cabinets in that price range, cabinets that won’t let you down on sound, price, or quality. 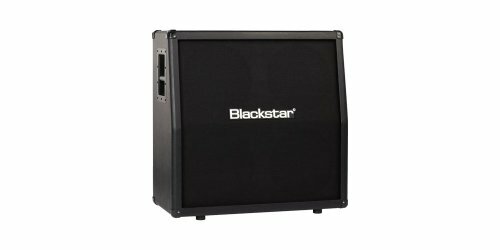 Blackstar ID412A Angled Cab, 4 x 12"
The Blackstar ID412A Angled 4×12 is an outstanding choice for classic half stack tone on a budget. It is a 320-watt Celestion-loaded closed back 4×12 mono cabinet that is capable of pumping a whole lot of wattage into the ol’ cottage. This cabinet delivers a huge sound and is perfect for those playing large venues or who simply want to experience that old school big amp thump for themselves. It’s voiced to compliment Blackstar’s ID series heads but will work equally well with any other head with a four-ohm output. Any cabinet in this price range loaded with Celestion speakers is a deal not to be passed up. 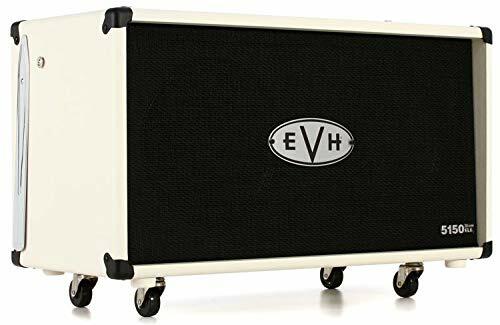 The EVH 5150III 2X12″ Cabinet in Ivory is another cool cabinet that’s just right for a guitarist who wants to rock but doesn’t want the hassle of moving something as large as a normal 4×12. Two 12-inch speakers are plenty for most gigging and recording situations and don’t require a cargo van to haul around. The EVH 5150III is half of a half stack and still delivers the kick in the pants we all love about big amps. This is another affordable cab that is loaded with Celestion speakers and that is, again, super cool. It is made from birch plywood, one of the best materials for speaker cabs, runs at 16 ohms, and comes covered in slick Ivory tolex. 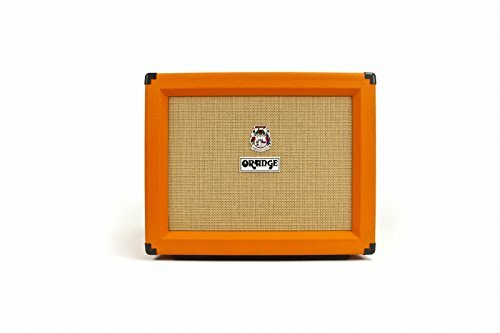 The Orange PPC112C is a 1×12 cabinet that calls out to guitar players concerned with both sound and vision. It’s a 60 watt closed back cab covered in the orange tolex it is named for. It puts out a lot of sound for its size and is a good pick for stage or studio use. It will also get you noticed wherever you go. The PPC also features a Celestion Classic 30 speaker, which gives it the sound of rock and roll automatically. This is an excellent choice for a club rig that can still cover bigger stages when needed or can be run two at a time in stereo for maximum spread and stage coverage. Marshall’s MX212A 160W 2×12 Vertical Slant Cabinet is a killer cab at an equally killer price. The vertical style of 2×12 cabinet isn’t seen quite as much as the horizontal variety is, but it has a lot to offer. Its greatest advantage is getting your sound going upward toward your ears rather than blasting it straight into your knees. 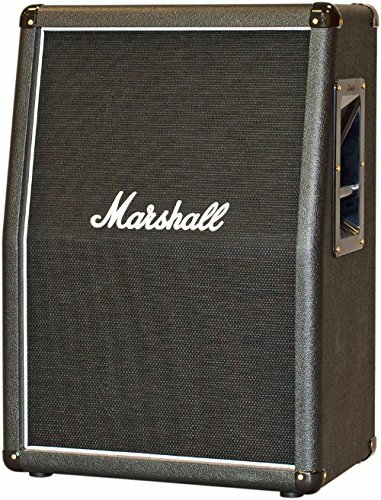 This one is, of course, a genuine Marshall product, which can only add to any player’s Cool Factor and, as such, features two Celestion speakers. For a lot of folks, Marshall is what it’s all about when it comes to great tone. The Hughes & Kettner TubeMeister 110 30W 1×10 is meant for those seeking ultimate portability combined with intense guitar tone. Featuring a single ten-inch Celestion speaker, the 110 makes a big noise but takes up very little of your precious on-stage real estate. Tens have long been a secret weapon for guitarists seeking a tighter, more focused type of sound when typical 12-inch speakers can be a bit too woofy and dark. 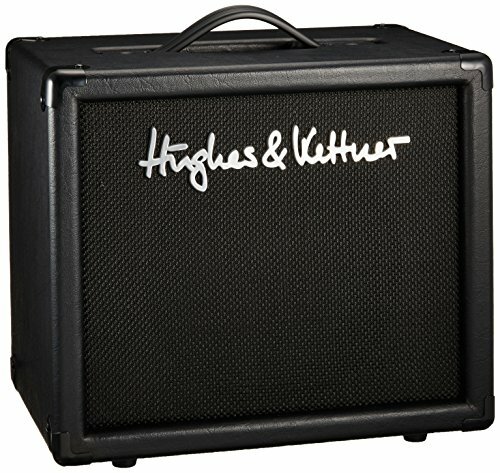 This cab was made to go along with H&K’s Tubemeister heads but would also work well with any of the “lunchbox” heads on the market. 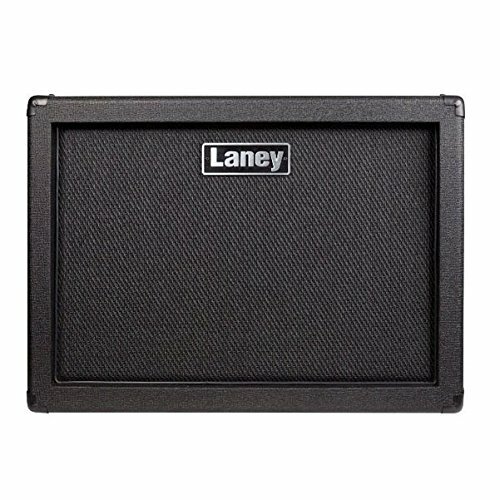 The Laney Amps IRT112 is an ultra-affordable 1×12 extension cabinet that is compact yet sounds big and full. It is loaded with a single Custom HH-designed speaker that handles 80 watts of power. It also features well-conceived carrying handles that make moving it a breeze. It pairs well with the rest of Laney’s IRT series but is also suited for a variety of applications. Definitely one of the best values in guitar cabs going today. These cabinets are just a small sample of the value-priced offerings available to budget-conscious guitar slingers of the modern era. They are all fine choices for working musicians and there is a cabinet here for just about any kind of player. It’s not a bad idea to have a couple of cabinet choices in your gear locker and match them to the sizes of the gigs you play. Sometimes a half or full stack is the right tool for the job and other times you’ll find a 1×10 cab to be more appropriate. All of these cabinets are capable of delivering the goods in terms of tone and volume when paired with a quality tube head. The rest is, as usual, up to you.